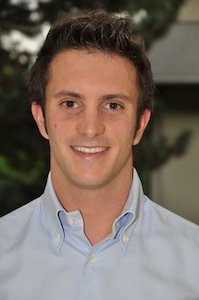 Luca Gherardi was born on 1985. He got the Bachelor and Master degrees in Computer Engineering from University of Bergamo respectively in July 2007 and December 2009. In January 2010 he joined the PhD program in Mechatronics, Information Technology, New Technologies and Mathematical Methods. In April 2013 he succesfully defended his PhD thesis titled "Variability Modeling and Resolution in Component-based Robotics Systems" supervised by Prof. Davide Brugali. During his PhD he worked for the European Project Best Practice in Robotics. From March 2013 to July 2013 he was a PostDoc at the University of Bergamo. From August 2013 he is a PostDoc at ETH Zurich, working for the Institute for Dynamic Systems and Control headed by Prof. Raffaello D’Andrea. His research interests mainly focus on the application of Software Engineering methodologies (CBSE, MDE, DSL and SPL) in the Robotics domain.